Toyota is very experienced and has been getting their feet wet in LED technology world for quite some time now. 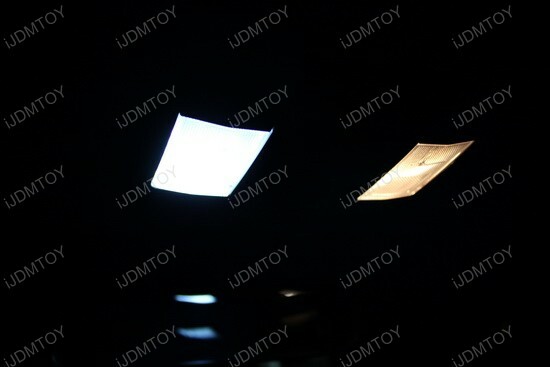 Lexus, a subsidiary of Toyota has been integrating LED lights into their higher end models such as the GS350 and LS460. Strangely enough, the hybrid CT200H utilizes incandescent interior lighting; since it’s a hybrid vehicle it would make sense to save as much energy as possible using LED lights as it already utilizes LED headlights on the upper trim model. Fortunately, we have an LED replacement solution for the interior lights for this car. This particular customer wanted a brighter and cleaner looking light for his Lexus CT200H LED interior front map lights because they had trouble finding things at night. Since we didn’t have a specific direct fit car interior LED package for this car like we have for others, we opted to use our 36-SMD LED panel instead which fit perfectly. 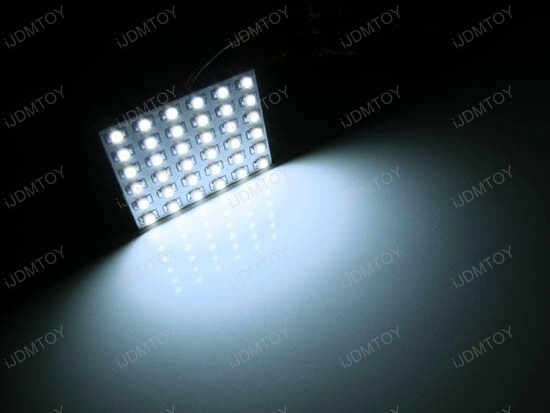 Each panel contains 36-SMD 1210 type LED diodes and is available in either 6000K Xenon White or 20,000K Ultra Blue; we do recommend getting it in Xenon White for it to be really functional though. As for the bulb size, each panel comes with a T10 adapter (fits 168,194, 2825, and more sized bulbs), festoon adapter (fits 31 to 42mm festoon bulbs), and a BA9 adapter (fits mini bayonet style bases) so it will fit all the common interior light bulb sizes as long as the housing can accommodate the panel. It also comes with 3M self-adhesive tape on the back so it can stick to the housing for an easy installation. 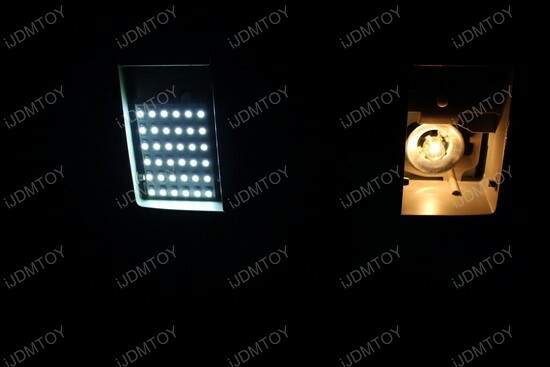 This simple upgrade is perfect to create more CT200h LED interior light inside the car at night at reasonable price. 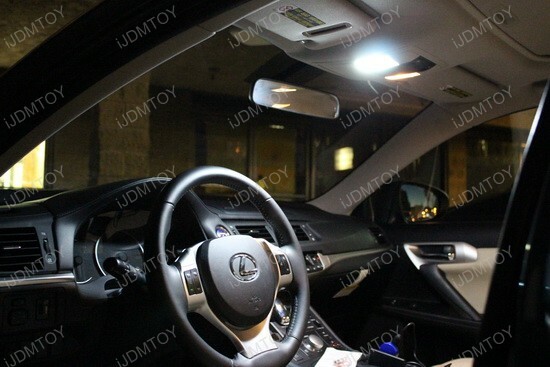 This entry was posted in - LED & HID Updates, Lexus, Toyota and tagged 168, 194, 2825, car interior led, car Interior lights, CT200h interior lighting, CT200h interior lights, CT200h LED Interior, interior light bulb, LED bulbs, LED dome lights, led headlights, LED Interior Lights, led lights, LED map lights, LED Panel Lights, Lexus CT200h LED Interior Lights, Lexus CT200h LED Interior Panel Lights, Lexus interior lights, Lexus LED Interior, Lexus LED Lights, smd led lights, t10 bulbs by Eric Wu. Bookmark the permalink.